The pic above is deceiving. Walt doesn’t technically crawl on all-fours. He still army crawls (though does so very quickly). We also got to dance around a circle (seriously, what’s with the trucker look with my hat!? It was early, people). 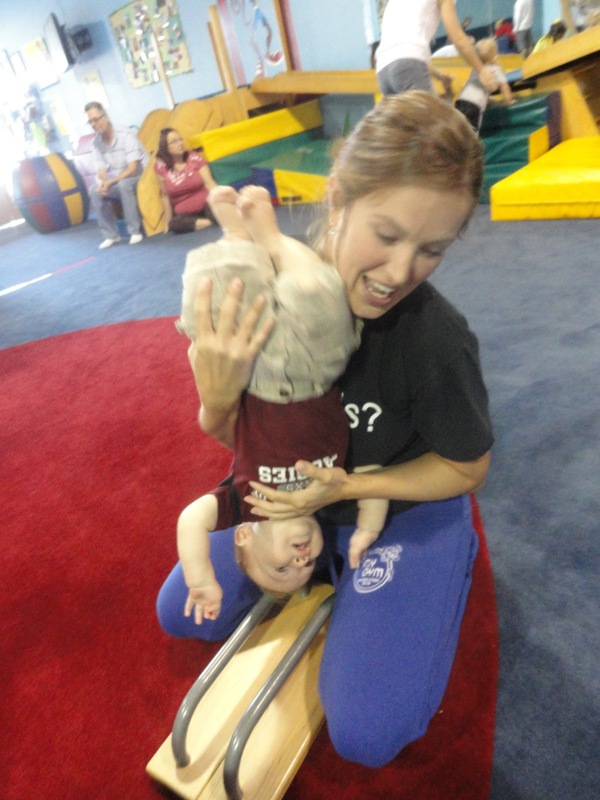 He loved being upside down… not too sure what to do with his hands. We had such a fun time. Walt loved the slide and when he got a turn on the swing. He stayed awake and alert for the whole thing, with not a single fuss. Chris got him home and the little monkey crashed out for 2.5 hours! We can’t wait to see what he gets to try next week. Looks really fun! 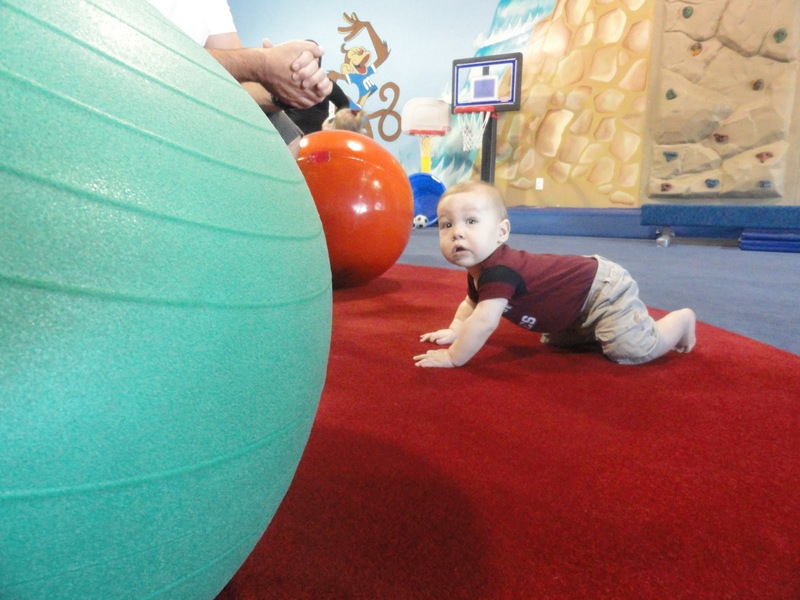 I've always wondered exactly what they do with babies at a “gym” class. Now I know! SO cute. And that handstand pic is hysterical!